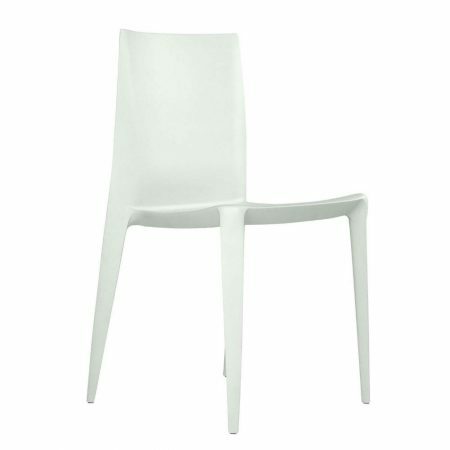 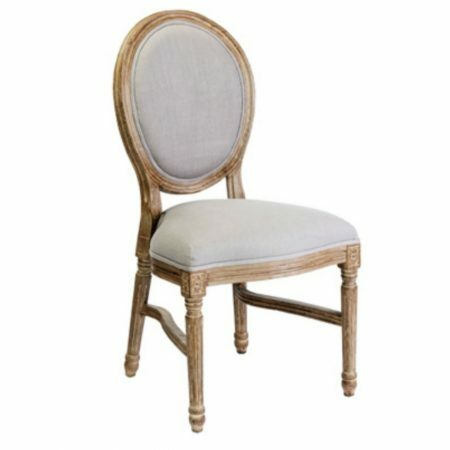 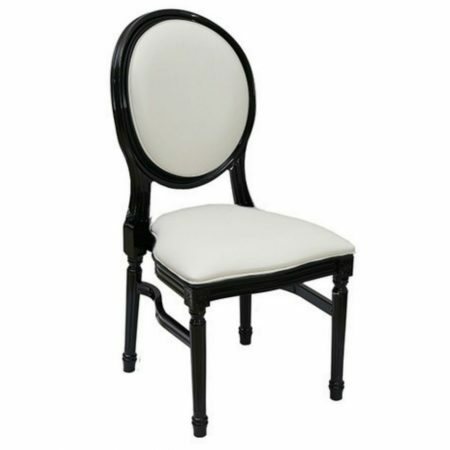 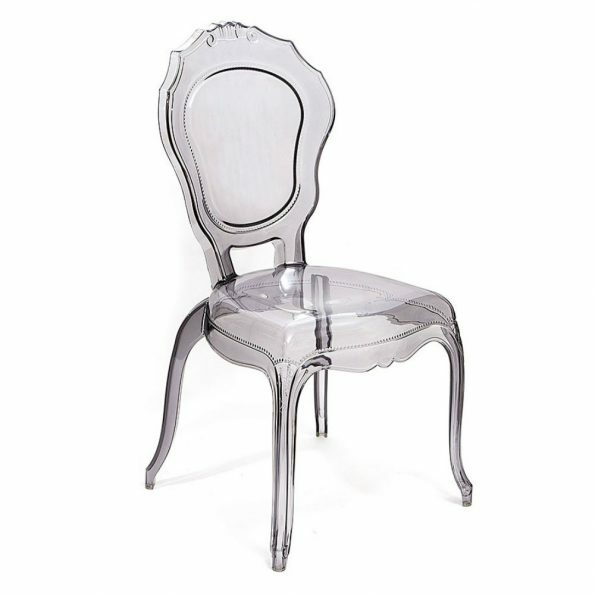 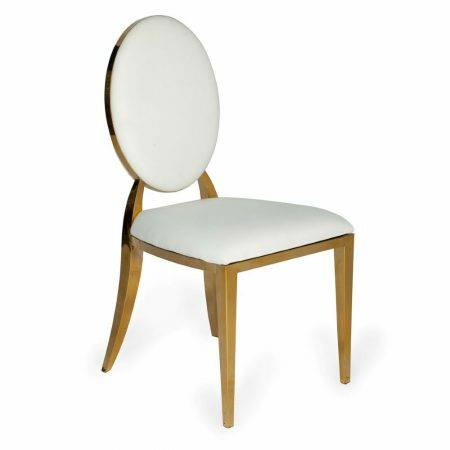 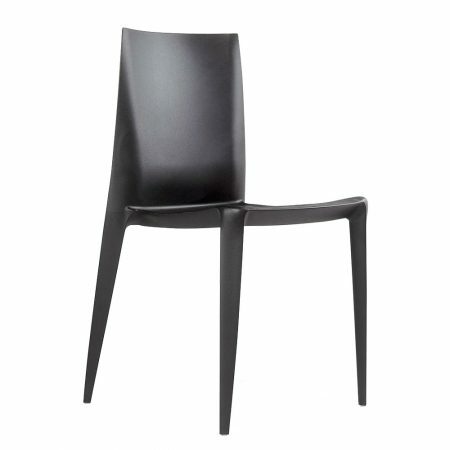 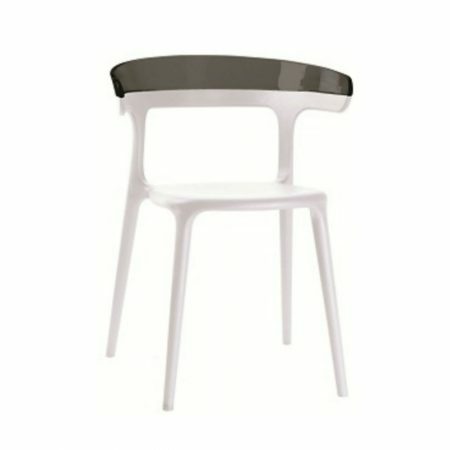 Seat your guests in comfort and elegance with the Dutchess Dining Chair. 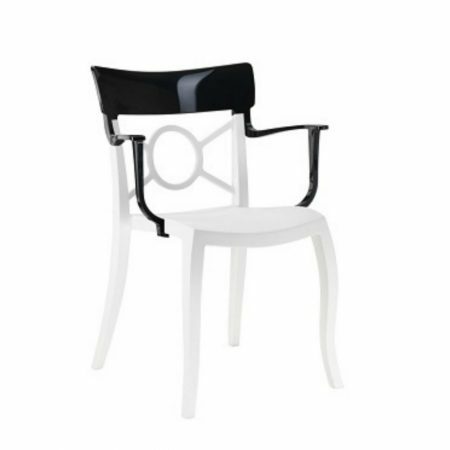 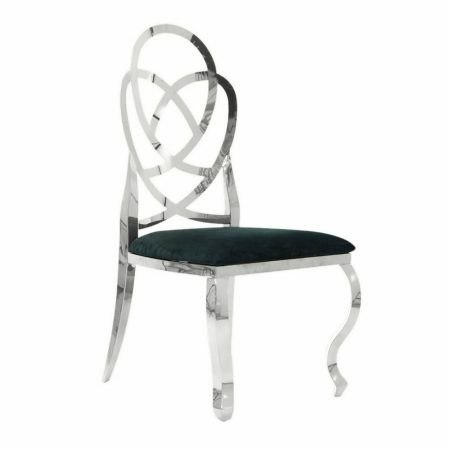 Designed with a polished chrome frame, black velvet upholstery and a regal back, this chair will brighten up your event and bring radiance to the room. 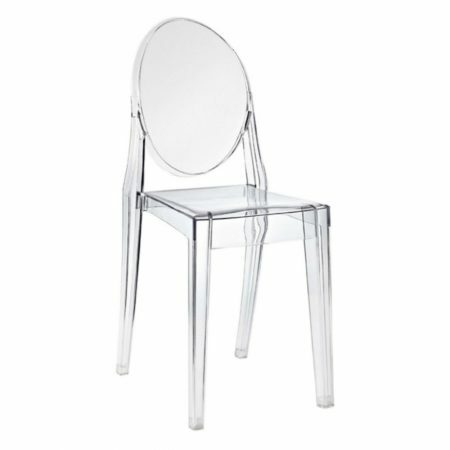 Available in chrome or rose gold frame with a black or white cushion. 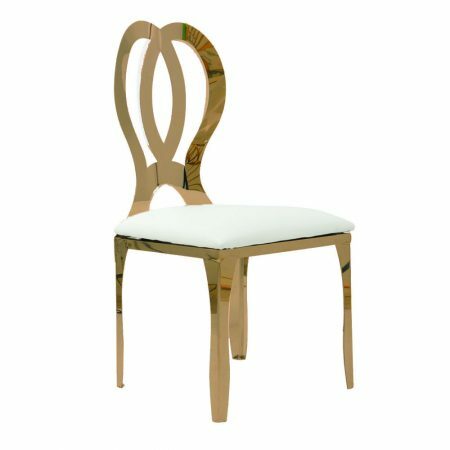 Sit with pride at your upcoming event on the Oakland Dining Chair Gold. 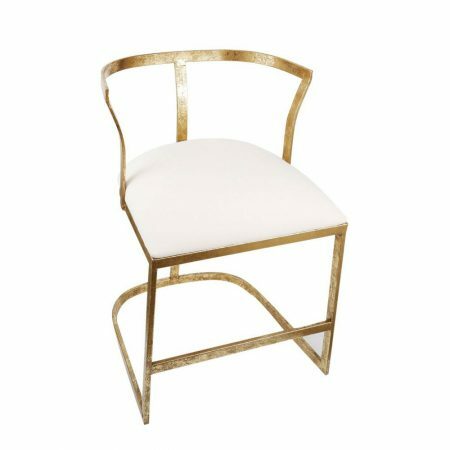 Designed with a striking gold frame, topped with a cushion of white faux leather, this chair brings comfort and style together, coordinating with affairs of any style. 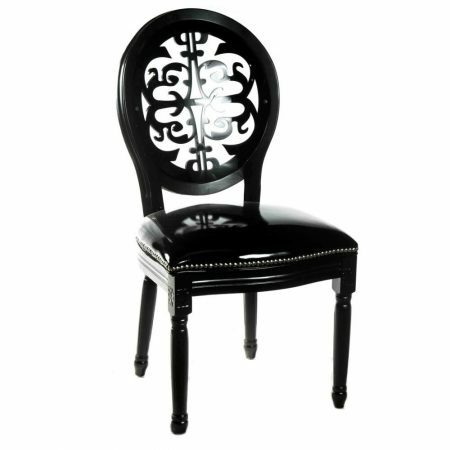 Available in black, silver and white.